Enterprise-ready containerized applications – We are on a mission to make containers accessible to everyone, especially the enterprise. When we released Kubernetes as open source, one of the first challenges that the industry tackled was management. Our hosted Kubernetes Engine takes care of cluster orchestration and management, but getting apps running on a Kubernetes cluster can still be a manual, time-consuming process. With GCP Marketplace, you can now easily find prepackaged apps and deploy them onto the cluster of your choice. Simplified deployments – Kubernetes apps are configured to get up and running fast. Enjoy click-to-deploy to Kubernetes Engine, or deploy them to other Kubernetes clusters off-GCP. Now, deploying from Kubernetes Engine is even easier, with a Marketplace window directly in the Kubernetes Engine console. Production-ready security and reliability – All Kubernetes apps listed on GCP Marketplace are tested and vetted by Google, including vulnerability scanning and partner agreements for maintenance and support. 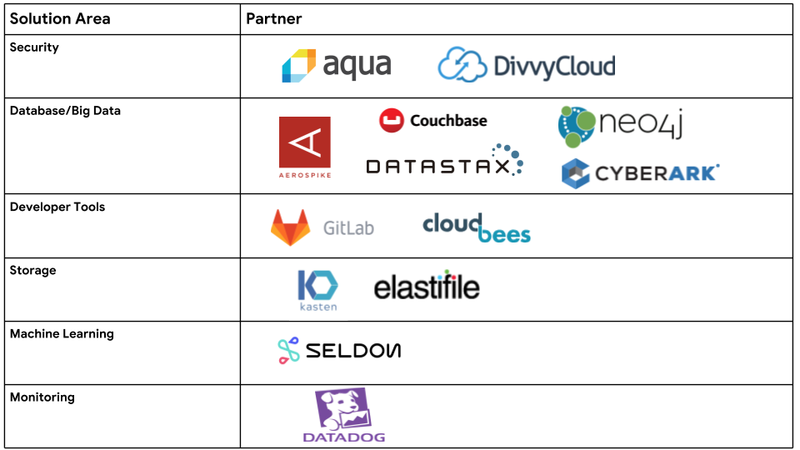 Additionally, we work with open-source Special Interest Groups (SIGs) to create standards for Kubernetes apps, bringing the knowledge of the open-source community to your enterprise. Supporting hybrid environments – One of the great things about containers is their portability across environments. 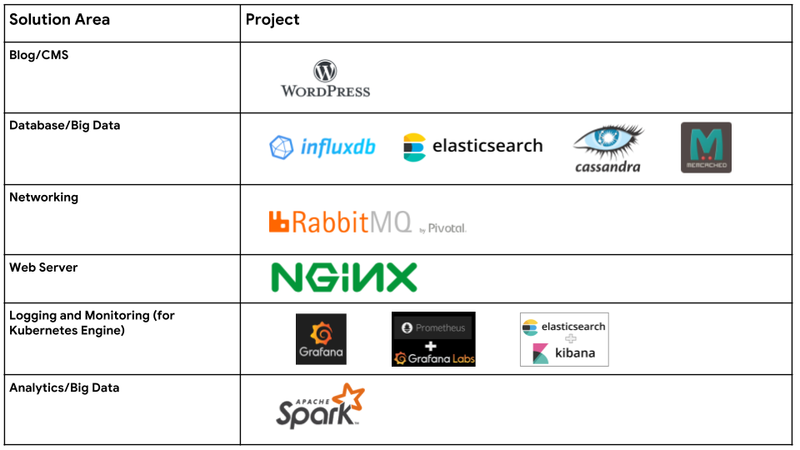 While Kubernetes Engine makes it easy to click-to-deploy these apps, you can also deploy them in your other Kubernetes clusters—even if they’re on-premises. This lets you use the cloud for development and then move your workloads to your production environment, wherever it may be.